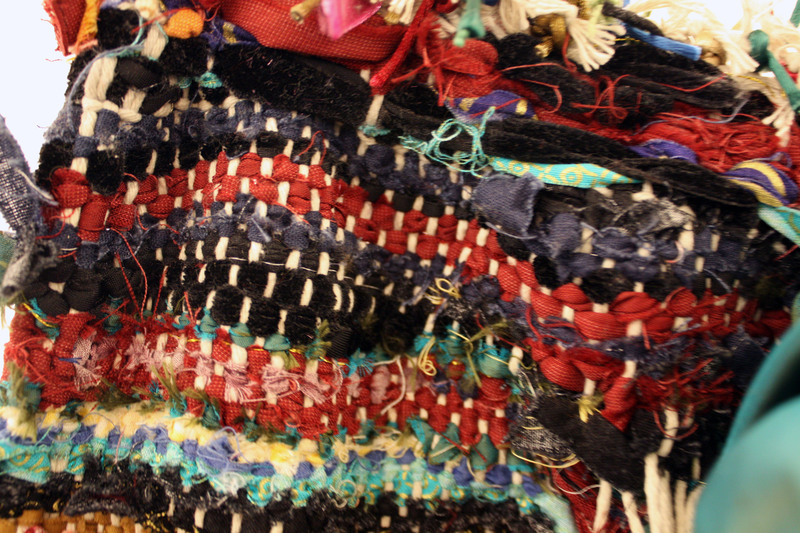 The Weaving of the Unwanted is a weaving that I completed in 2012 over quite a few months. 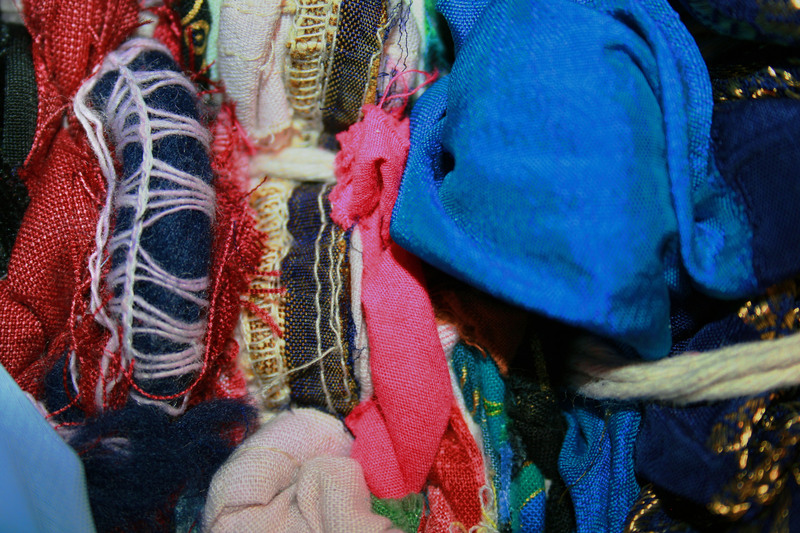 This time and process intensive work, explored the idea of the “unwanted” through the medium of “unwanted” clothes. I feel that clothes are such deeply personal items. They are identifiers, they have the propensity to create impressions and express something about the essence of the wearer. On a more practical level they protect us from our surroundings–helping us to adapt. 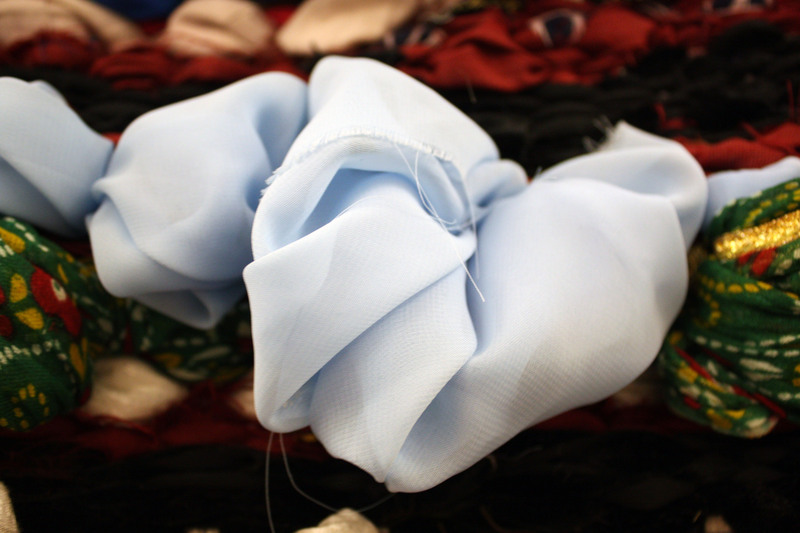 Clothes can at times seem like a second skin–molding and forming to the intricacies of our bodies. These inanimate objects are with us most of the day through many of our experiences. 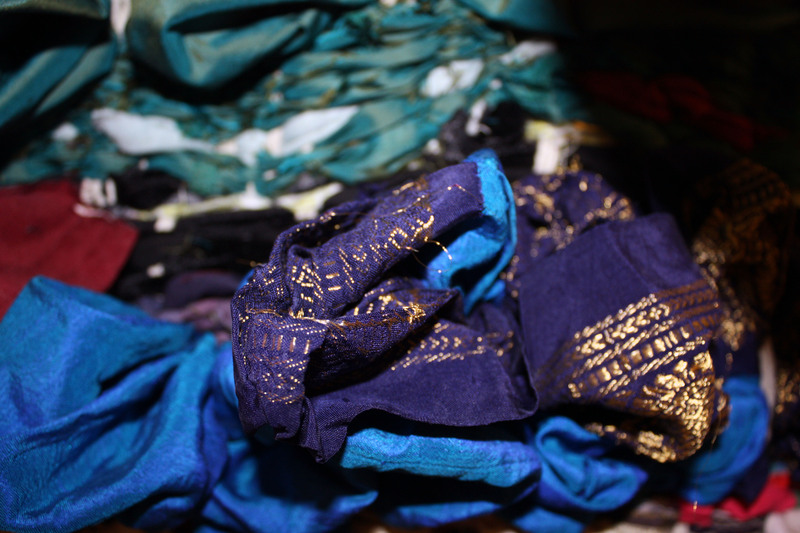 As our clothes silently experience our lives with us, they wear and tear just as we do. 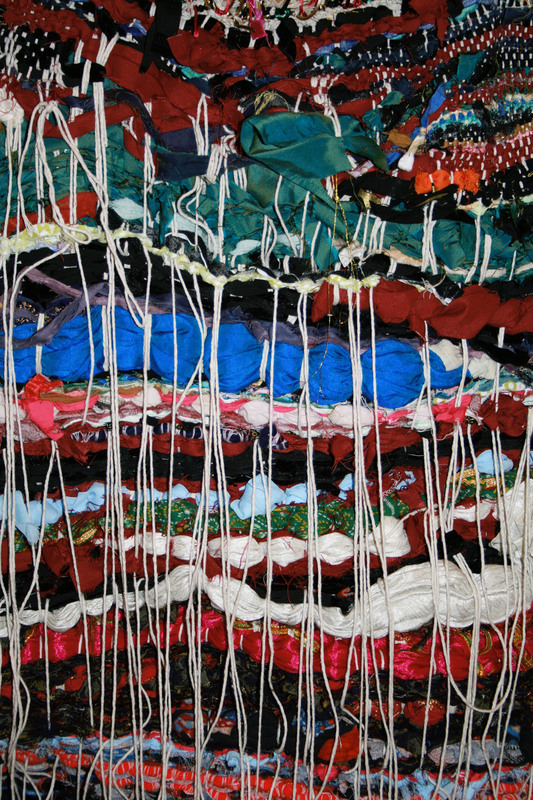 At the time of this weaving I was fascinated with the ease in which some of us can throw our garments away. I was interested in the idea that these objects that can at one moment seem to be so personal or such a part of our identity, and in another moment become unwanted. The ease in which many can discard items which once made us feel special, once conveyed our personalities, once took on the shape of our bodies, was quite fascinating to me. This deep fascination may have stemmed from my belief that such personal objects become embedded with memories and personal energies and my personal reluctancy to discard things, as well. 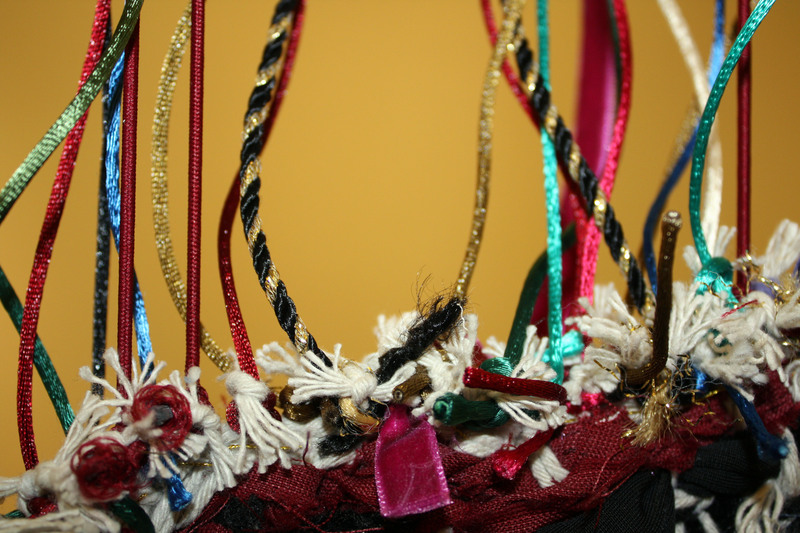 My fascination was transmuted into inspiration–and so the weaving began. 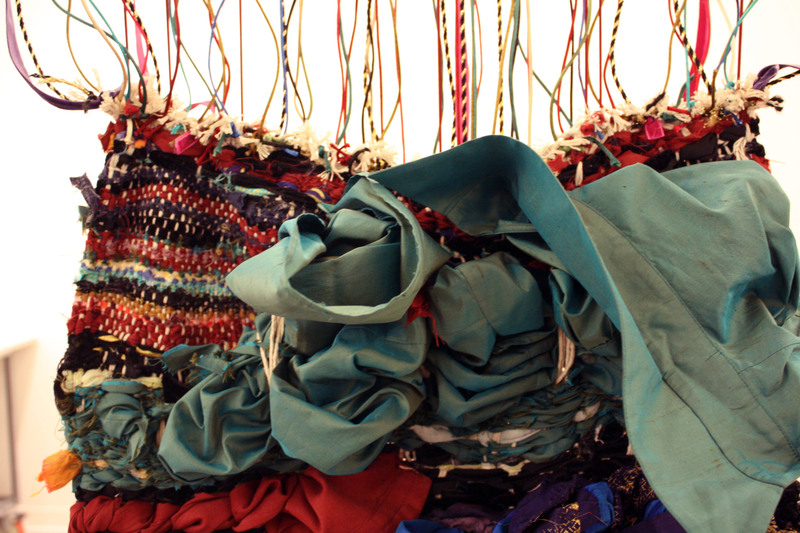 Through the physical action of weaving I felt as if I was memorializing these clothes–giving their energies and memories a more permanent space. 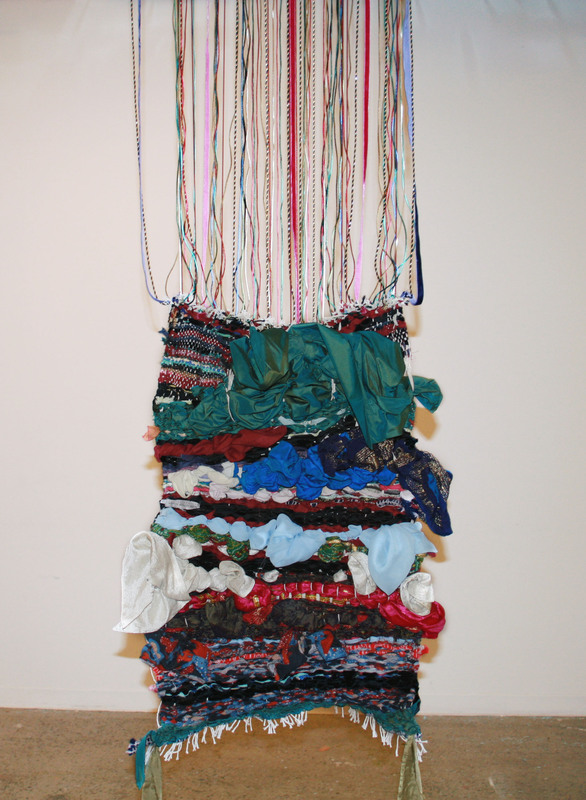 Upon the finishing of this piece, I felt satisfaction as it seemed that all the “unwanted” garments (some found at thrift shops, some belonging to me and to friends and family ) overcame their state of “unwanted-ness”, and together took on a new life.